After this was written, Lou Levy found three prominent orchestras to record it. One of the orchestras was led by Freddy Martin, another by Jimmy Dorsey (with vocals by Bob Eberly), and the third by Harry James. 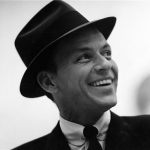 James had recently discovered a 24-year-old vocalist from Hoboken, New Jersey, named Frank Sinatra, who sang this in his version. Despite strong renditions from big-name orchestras, all three singles disappeared without a hint of public interest. Even though this was a flop, Sinatra's career took off. He joined Tommy Dorsey, the most successful bandleader of the early '40s, and became the featured vocalist on 39 Top-20 singles. He was a heartthrob sensation, headliner and show business icon. He was the most talked-about performer in the music industry and signed a deal with Columbia Records, one of the biggest labels in the business. In 1943, in order to obtain both more pay and benefits for its members, the American Federation Of Musicians instituted a "Record Ban" that prohibited professional musicians from all recording activities. At first, the record companies weren't worried. They thought the public wouldn't know, or (especially in current wartime conditions) care whether skilled musicians were performing on the records they purchased. The market was soon flooded with unaccompanied singing groups, amateur accordion players, kazoo bands, bagpipe recitals and harmonica combos. As is the case whenever the public is underestimated, the market was soon drowning in unsold recordings. At Columbia Records, panic prevailed. They had the hottest new singer in show business on their roster and could not record him. Lou Levy came up with the solution for both this particular problem and for the music business in general - since the musician's union was restricting only current recording, they could reissue previous failed recordings by current stars. They found Sinatra's 1939 recording of this song and changed the label credit from "The Harry James Orchestra with vocal by Frank Sinatra" to "Frank Sinatra" with "accompanied by Harry James Orchestra" in small print. This time, the song was a huge hit. It stayed near the top of the charts for half a year and was followed by another 116 Top 40 songs by Sinatra over the next four decades. In a 1944 interview, Sinatra said: "That was the song, a few days after Harry James and myself recorded it, that gave us our walking papers out of the old Victor Hugo Cafe (a major entertainment venue of the 1930s) on the Sunset Strip in Hollywood. The manager came up and waved his hands for us to stop. He said Harry's trumpet playing was too loud for the joint and my singing was just plain lousy and fired Harry, me and the entire band on the spot. He said the two of us couldn't draw flies as an attraction, and I guess he was right - the room was as empty as a barn. It's a funny thing about that song. The recording we made of it five years ago is now one of the top spots among the best sellers. But it's the same old recording. It's also the song I auditioned with for Tommy Dorsey, who signed me on the strength of it. And now it's my first big record." Charles Pignone, Vice President of Frank Sinatra Enterprises, told us that Sinatra often called this song his first hit and would return to it again and again, reworking it as a ballad and as an uptempo number with a Nelson Riddle arrangement for Strangers in the Night. "That was a song that he continued to sing up until he retired in 1995," Pignone recalled. "And that song came in and out of his concert repertoire through the years, and he always spoke of it very fondly." Hello colleagues, how is the whole thing, and what you wish for to say about this piece of writing, in my view its in fact remarkable in favor of me.